8 years ago, a user commented in a forum that he would pay 10,000 bitcoins to the person who sent him 2 pizzas. What was a simple challenge for both people, ended up going down in history when dealing with the first transaction made with cryptocurrencies. The 10,000 bitcoins paid in that operation represented $ 25. Which means that those pizzas would have cost, according to the current price of bitcoin, approximately 75 million dollars. Of course, they did not yet know the extent of cryptocurrencies in the future. In this anecdote, Venezuela can be seen, since today it is going through this stage of discovery and exploration in the world of cryptocurrencies. With a petro that has not even been released in the market, many would think that it is not yet time to adapt to this reality, however, there are other criollo digital currencies that have given something to talk about. 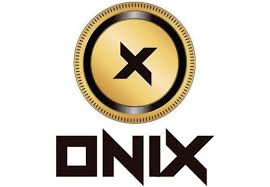 Launched on May 29, 2017, onixcoin is the first cryptocurrency created in Venezuela. With just under a year on the market marked a milestone, since with it the first transaction was made with a Venezuelan digital currency, it was a 2010 Jeep Cherokee truck that was sold in 500,000 onixcoins. Ángel Salazar, co-founder of this cryptocurrency, celebrated the recent success that the onix has had since the creation of the Superintendence of Cripoactives and Related Activities, since the legal framework has facilitated the operation in the country and promote a more ambitious project. "It went from being a social experiment to a formal project and we created four divisions to address specific aspects of onyx development. The execution has gone very well, we have formed very important alliances and we managed to be present at several important international conferences, "he explained. The project is in the process of constant expansion, for that reason, they have turned to neighboring countries to promote their currency and establish strategic alliances. Negotiations have been held in the Dominican Republic, Mexico, Panama, Argentina, Colombia and Brazil, where even Onyx will be listed in an exchange house. They have also attracted advisers from the United States, South Korea and Sweden. They even have an offer of alliance from the United States. "The international brand recognition of what the onix project is doing in Venezuela is being noticed. We are growing, our goal is to convert the onix into the bitcoin of Latin America, "he said. One of the benefits generated by the expansion of the cryptocurrency in different exchange houses in the region, would be the sending of remittances from relatives abroad to their countries of origin with the use of onixcoins. Crypto society. Since the creation of the petroleum was announced and the handling of cryptocurrencies in the country was legalized, Venezuelan society has acquired great interest in digital money. Salazar said that the community that moves in the world of digital assets has grown organically and a large part of the population does not know about the subject but wants to learn about it. "When you go to an international conference, you realize that everyone here is handling the issue. In a local conference, the vast majority is unaware of the issue but everyone wants to learn, "he said. Faced with the wave of enthusiasts seeking to invest in these types of alternatives to safeguard against inflation, Salazar recommends that they be documented before completing any business, since it is necessary to know how cryptocurrencies are used, and how the market interacts to avoid create false expectations. While for the miners, he invited them to consider the onyx as an alternative to mine. "You can use the same machine that was used to mine dash and the performance is much higher, it is very profitable," he said. The government of the United States issued a decree in which every American citizen is prohibited from carrying out any transaction or business involving the petro or any other instrument based on the Blockchain technology created by the Venezuelan government. Although these sanctions affect the main Venezuelan cryptocurrency, the other crypts are not affected, according to Ángel Salazar, co-founder of the Onix currency. "Directly they will not affect the other cryptocurrencies, because the sanctions are against the petro. It is a problem with the government, but not with the crypts. Onix is ​​even a free software, we do not own the codes, "he explained. The impact, particularly on the onix, has been null, even Salazar has received proposals from the United States to establish strategic alliances with investors from that country.